with Outstanding Type and Extreme Pedigree Depth! #1 PTA Fat Cow in the U.S. ZADE..The No. 1 Udder Composite bull in theWorld and No.1 comb. PL, SCS and DPR. Exported to Japan for $50,000 after 1st Lac. Dam former No. 1 CTPI Blackstar dtr. Gr'dam former No. 1 CTPI cow of the breed. 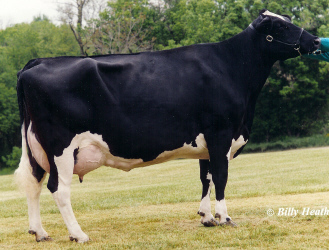 There are very few Holstein cows in the world that meet these genetic standards. When you add 5.0% fat test and 4.0% protein test ("cheese use has been driving the dairy market") there are only four cows. Flatness International, Inc. has 3 sons from one of them, Frisco. They include BECK, BEETHOVEN EX(95) EX(96) F&L (by Bellwood), and PYRAMID EX(90) EX Frame, Dairy, & Body, her only son by Formation. 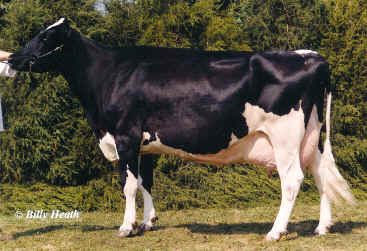 The other three cows include the EX(94) Zita, gr'dam of ZADE, and ZADE's dam, Zanadu VG(89), the No. 3 CTPI and No. 5 Fat index cow. ZADE is her only Wade son. Also, Bethany EX(91) 2E, No. 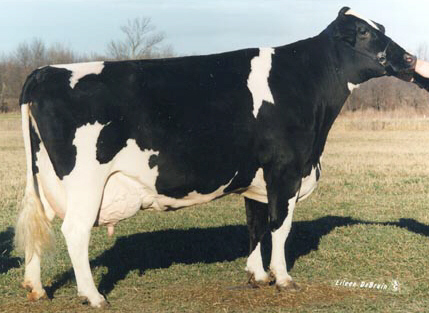 1 Fat Index Cow in the U.S., the dam of KING & BRILLIANCE. These elite sires from the Crown Jewel Collection are available around the world. We are looking for additional distributors in some areas. Contact us today! Copyright 2004 � Flatness International, Inc.